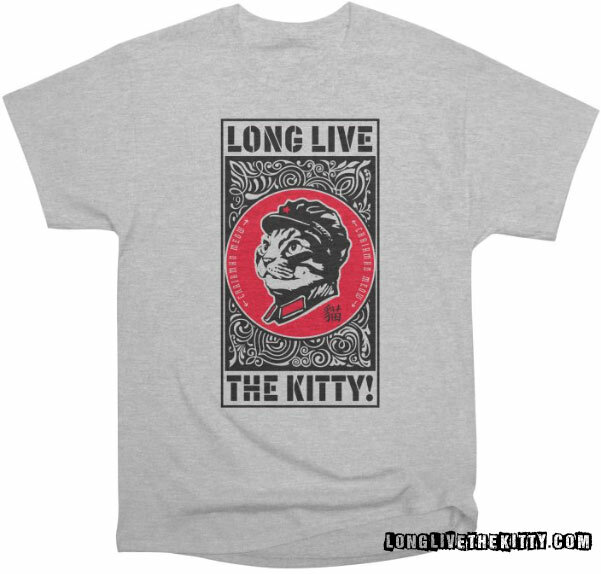 designs Archives - Long Live the Kitty! 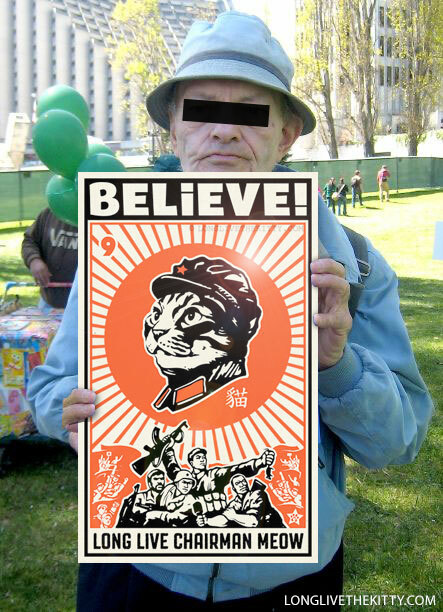 BELIEVE! 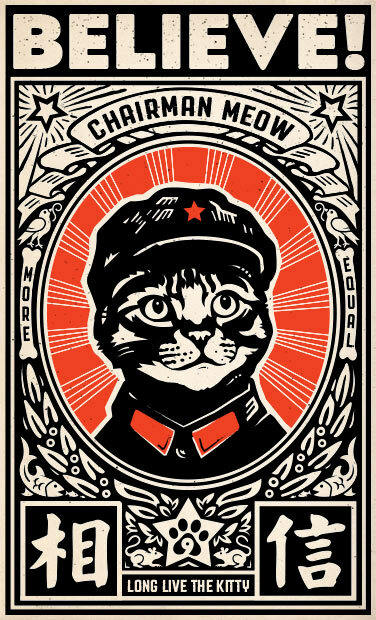 Long Live Chairman Meow: Chairman Meow is the leader of the glorious Kitty Revolution, which will bring peace and prosperity to earth, making humans their underlings. 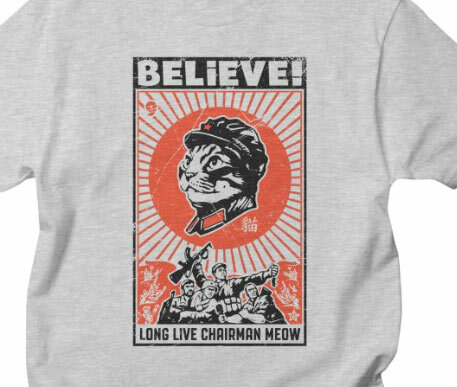 This glorious new design is a tribute to Chairman Meow and his leadership in the War on Vermin, terror, drugs, poverty, and all things that are bad. 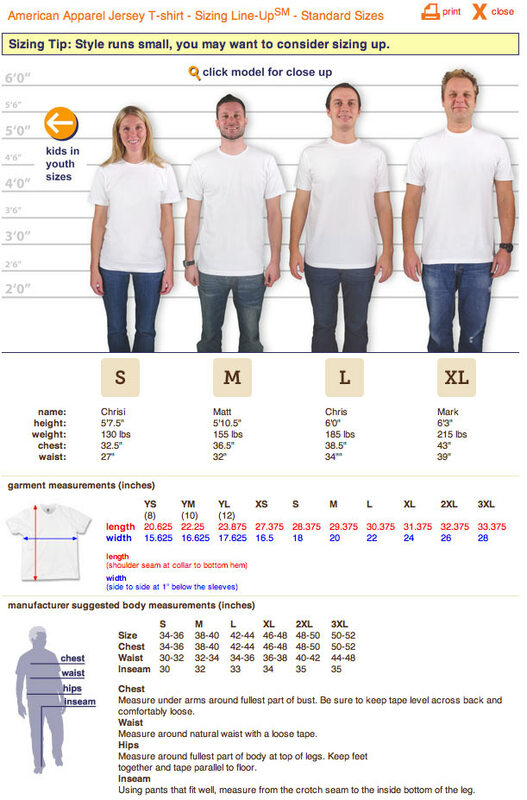 15×24″ – Inexpensive black, wood frames available! Happy customer displays glorious poster! 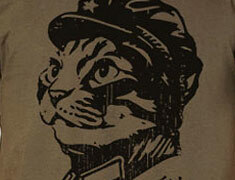 This glorious new design is a tribute to Chairman Meow and his leadership in the War on Vermin. Remember, you are either with the kitties, or against them. 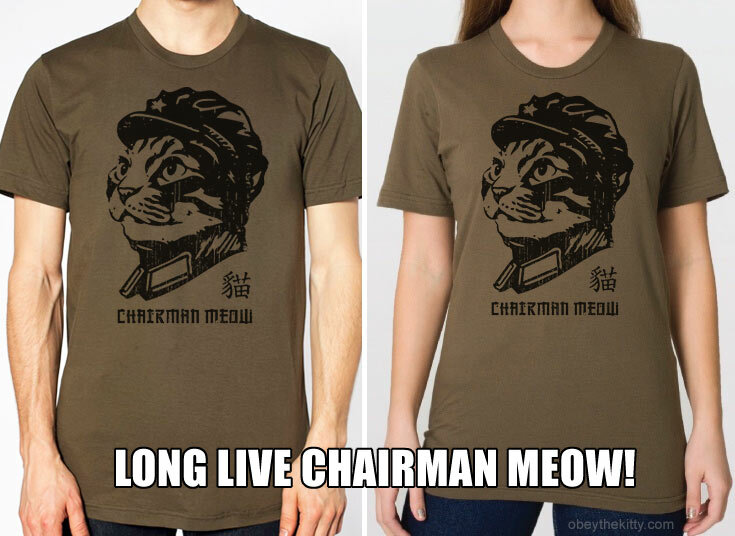 Long live Chairman Meow! 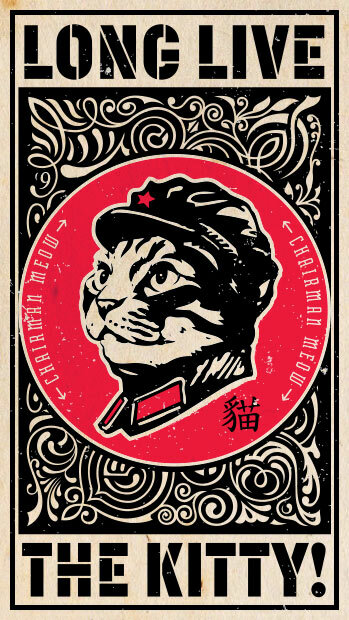 This entry was posted in designs, popular and tagged chairman meow on September 8, 2017 by admin. Limited edition, signed, screen-printed poster coming soon! 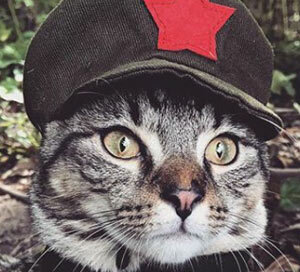 Chairman Meow believes that all animals are equal, but some are more equal than others. In fact, the Kitty is so equal, that it is at the top of the food chain; eating and killing many types of vermin and tasty fish. 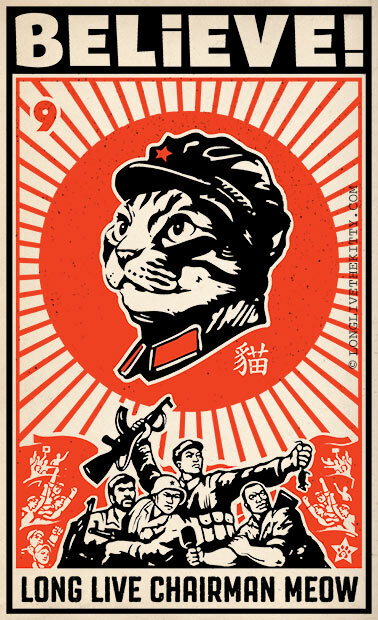 Chairman Meow also recognizes that he is equal to humans. That is why he will employ many of them as servants after the Kitty Revolution; regardless of race or religion. This entry was posted in designs and tagged chairman meow on September 26, 2016 by admin. 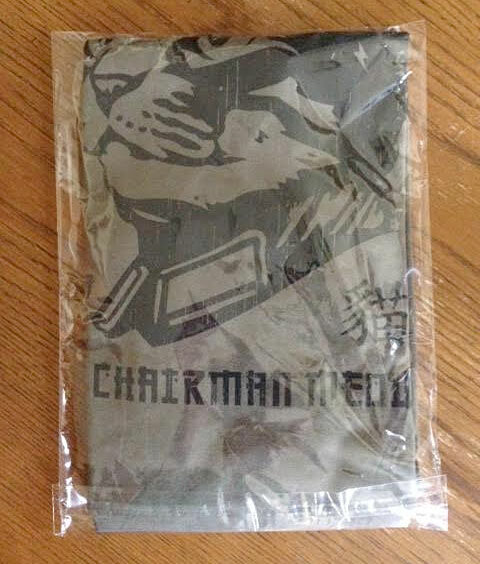 Available on light & dark at T-Shirts at our threadless.com shop! 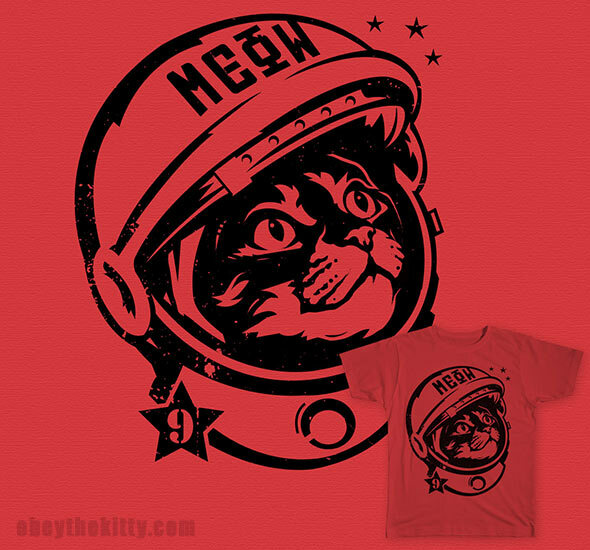 Already a hero for his bravery, the intrepid Great Helmsman Meow promises to bring glory to the Kitty Revolution by putting a cat into space. However, since the moon is made of cheese, Chairman Meow warns humans that it may be a haven for rodents, and unsafe until these vermin are eradicated by the kitty. Chairman Meow confidently looks towards the heavens, and using his superior feline mind, he creates magnificent constellations, connecting dots that were previously thought to be unrelated. 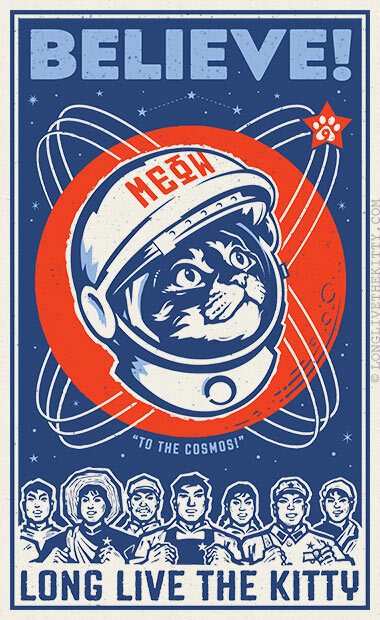 Dear Leader Meow also promises to “make the lost constellation, Felis, great again.” so that the masses may once again bask under a glorious cat constellation. Supreme Commander Meow informs the captivated masses that each of these constellations may contain more catnip and tasty fish than the mind can picture. 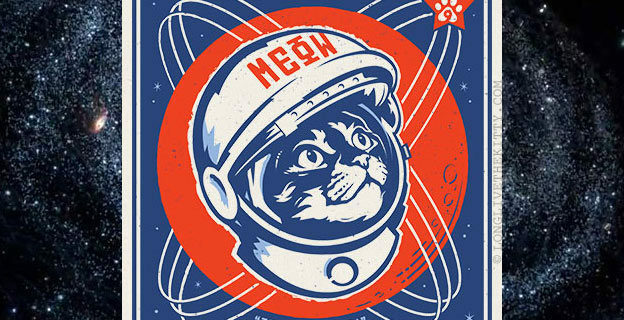 Honor the Kitty Revolution, and support Leader Meow’s great leap forward to space by purchasing a t-shirt from Long Live the Kitty on Threadless.com! 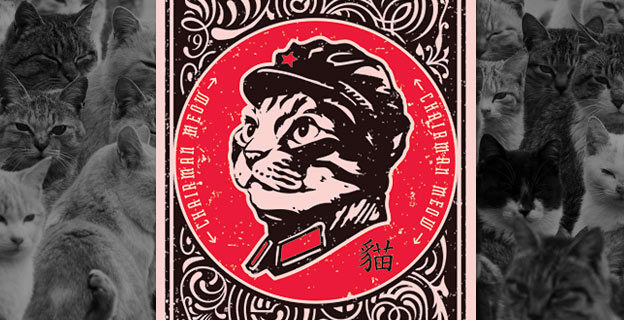 This entry was posted in designs, popular and tagged chairman meow, kitty revolution, space cat on September 20, 2016 by admin.